Our qualified team of engineers at G.P.Green Electrical specialise in testing, inspection and reporting on commercial and industrial electrical systems. 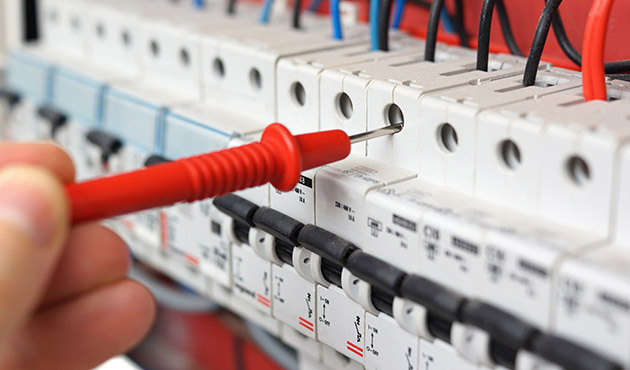 Your electrical appliances will be tested to the highest standards in line with the latest IEE Code of Practice and our engineers are annually assessed by the NICEIC.We also undertake PAT (Portable Appliance Testing), fire alarm and emergency lighting systems testing. We will inspect your premises, liase with you, and carry out the testing with as little disruption as possible. We will detect any faults or danger and inform you of remedies to bring them up to standard, offering you a detailed quotation on any work that needs doing. To find out more about the testing services that we offer contact us today.